There’s one thing about having an internet presence (no matter how small) – once something is out there, you really can’t take it back. Posting your summer goals on the internet is definitely more public than posting them on your refrigerator. 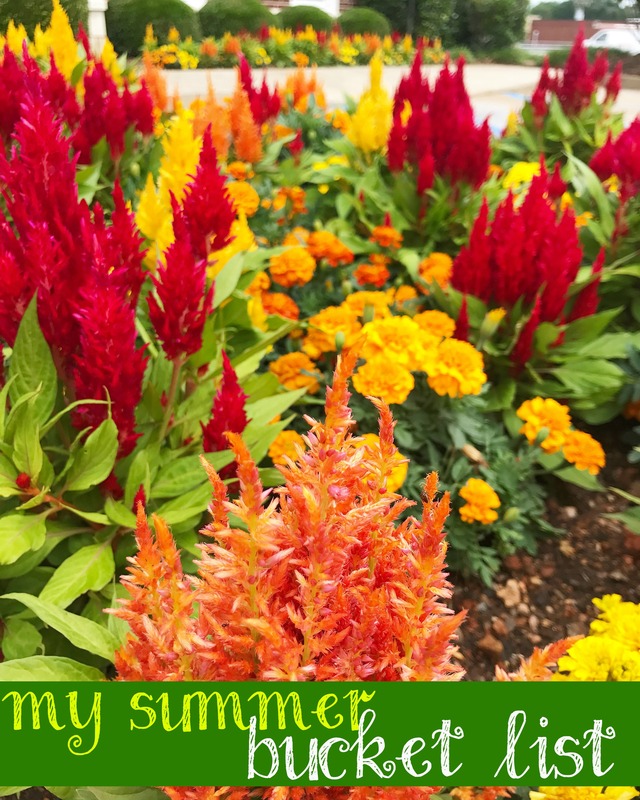 I really dreaded the task of revisiting this summer’s goals – there were several that I knew I had completely ditched, the biggest one being the sign language class that we were so excited to begin this summer. For one reason or another, it just didn’t work out for us to commit a block of time each week to learning sign language. Some weeks we were already out doing something else, other weeks we found ourselves really in need of resting at home. Being a list maker and a box-checker, I hate having things left un-accomplished! Host a Memorial Day cookout – we traveled to Kentucky instead! Date night at the new Hwy 55 burger place Yum! Get tickets for Dale Jr.’s final NASCAR race at Bristol Motor Speedway – we made plans to do something else instead…NASCAR just isn’t what it used to be. Sigh. Date night in Travelers Rest (a cute little town in our area) – it wasn’t as much fun as I imagined. LOL. 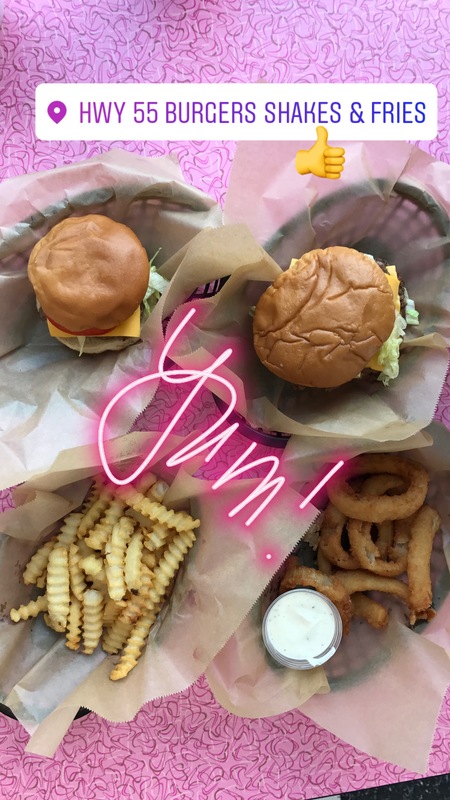 Visit family – several weekend trips AND a few lunchtime meetups in the middle! For all the things I wanted to do but didn’t, we replaced them with a different activity that was just as much or more fun than the original idea. One of the things I learned from setting goals in 2016 was that setting goals gives me direction. Sometimes our goals take us in a different direction than we originally planned. I would add that setting goals gives me something to look back on – something to show for that season. When we go through periods of time that are harder than others, it’s wonderful to have a set of completed goals that can define the season instead of allowing the season to be defined by the unpleasant parts. I didn’t know what my summer would hold, but God did. He directed my steps to plan some things that would give us fun memories to hold forever in our hearts! If your summer didn’t turn out the way you thought it would, look back to see where God’s hand intervened to direct your steps. Next Post High Five For Friendship! Summer was a little quieter here due to my sister’s health issues, but we still managed to have fun. Sometimes, I’ve found that simpler plans are more enjoyable and create even better memories! Glad you had fun on your summer excursions, too! Plans are a great starting point so you’re headed in some direction. I’m sorry your sister’s health has been a struggle this summer – I’m praying for her! I think the prayers are working, as her doctor was extremely positive after her Sept. 1 surgery! 95% success rate odds is much better than 60%. Thank you so much!! I love your list! I’m getting ready for a post on Friday with a mid-season look at my summer bucket list, too. My items were much less exciting and more homey than yours, sigh. I love the date ideas! I want to incorporate that for my fall list. 🙂 My hubs and I need to really up our game in that department…. Funny that you aren’t into NASCAR as much. My mom is saying the same thing, but my dad keeps buying them tickets to Richmond, lol. I’m a huge F1 fan, personally. I always wanted to visit Richmond – I love short track racing. Homey goals are great too!